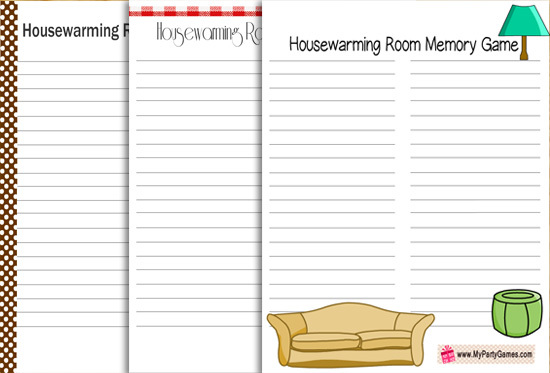 Today I have made these free printables for the housewarming room memory game. 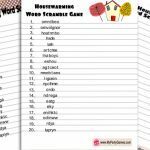 This is a fun game that can be played with the guests of any age group and at any housewarming party. You need to prepare nothing for this game in advance. Just take printouts of this game in the design of your choice and arrange pens and pencils for your guests. Take your guests to the any room of your new house like living room or your bed room. Ask them to observe the things in that room for 60 seconds, then take them to another room and ask them to write down the names of the things the remember. The things should be described with a little detail like ‘a red clock’, ‘a blue lampshade’ etc. The person who writes down names of most of the things from that room will be the winner. 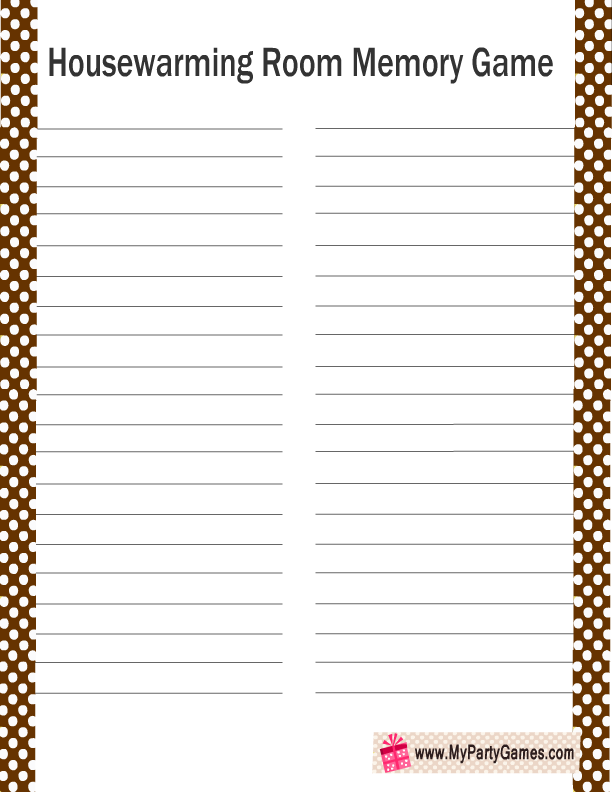 This is the first free printable that I have made for this game. 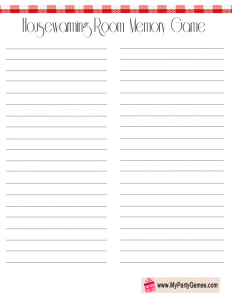 This cute free printable has images of a sofa, a chair and a lamp. 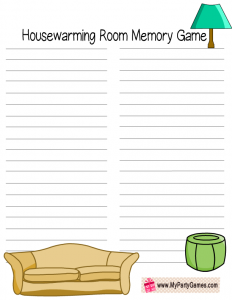 Just click on the thumbnail image of this printable game and a bigger printable image will open up, you can either print it right away or save it in your computer, tablet or phone to get printed later. 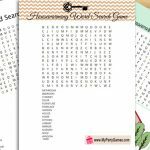 This is another free printable image that I have prepared for this game. It has a red and white border on the top. 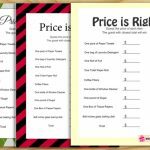 You can play this game on any kind of paper but playing this game on these worksheets will make it more special and fun. 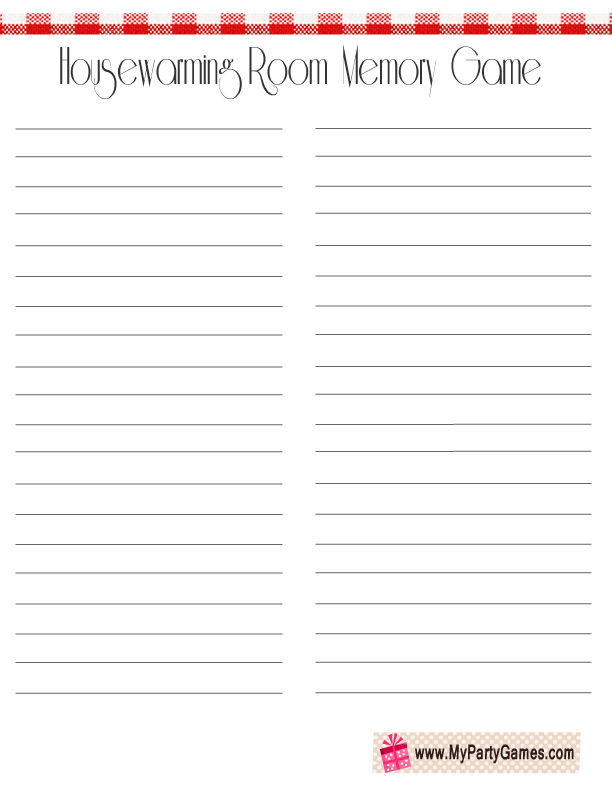 This is the third printable sheet that I have prepared for this game. 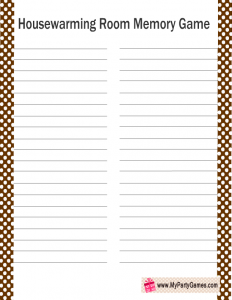 This game printable is decorated with stripes of brown color with white polka dots on those. Just click on this thumbnail image and then save or print the bigger image that will open up.